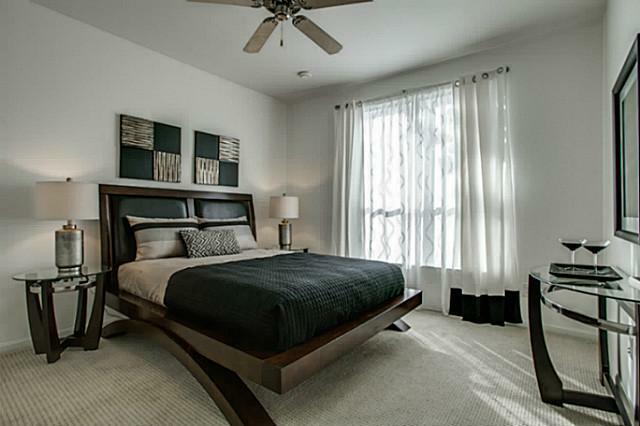 Here’s a gorgeous modern condo in the extremely walkable Oak Lawn area at 4111 Gilbert, also known as the Nineteen Condos. No. 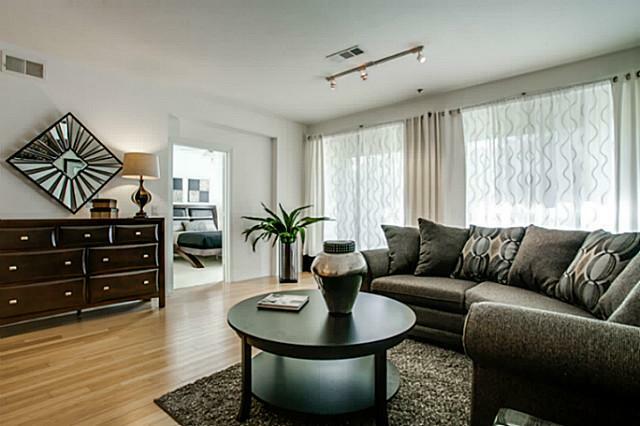 102 is a one-bedroom, one-bath unit in fantastic condition, with 1,098 square feet. And it’s priced at $207,500. This is exactly the type of unit, the type of housing, that is becoming more and more prevalent in our city, and one that is more sustainable, according to all of the research being touted at the U.S. Conference of Mayors this week. So, of course, this unit would be priced at a premium. That’s more than $188 per square foot, folks! 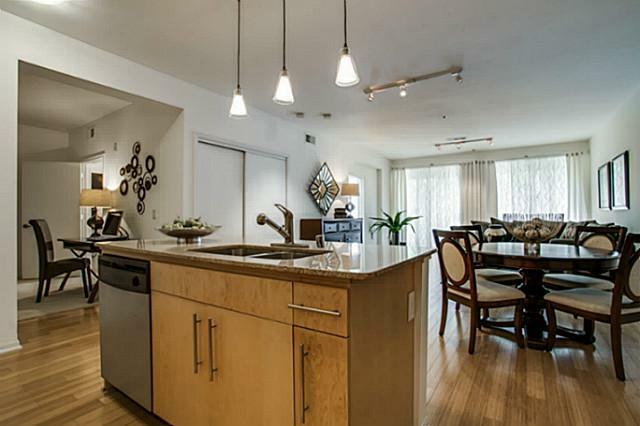 And truly, this place is just primo, with gorgeous birch cabinetry and sleek hardware in the kitchen, which is open to the living and dining areas and gets tons of light thanks to the floor-to-ceiling sliding glass doors. 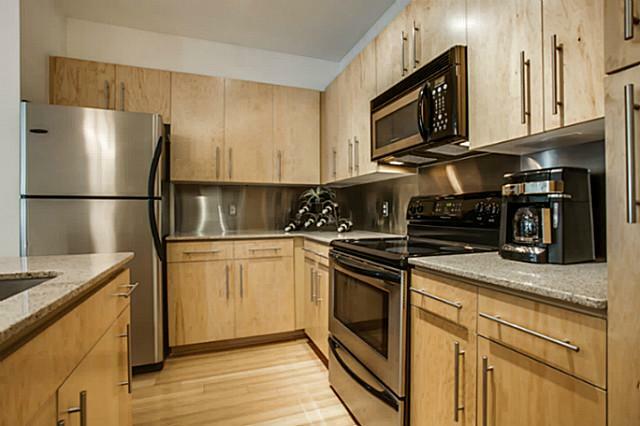 You also get stainless steel appliances and an ample island with granite counters. The bedroom, which is spacious considering the unit’s size, has tons of windows, too. All of that natural light does highlight the gorgeous wood floors in the living and dining areas, but it shows off some of the imperfections in the bedroom carpet. Still, carpet can be replaced! 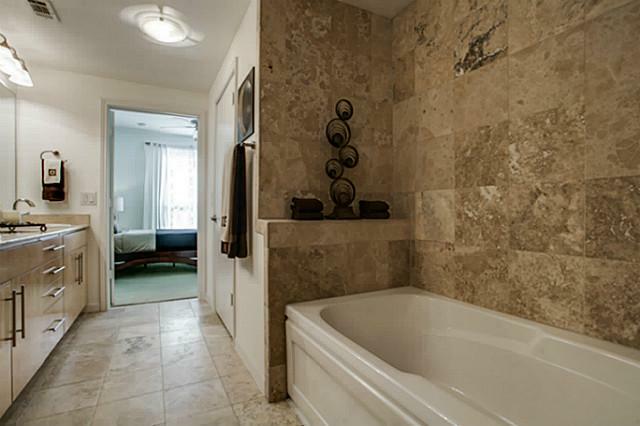 And the bathroom, well it is just perfect, and it’s much larger than what you’d expect for a one-bedroom condo, that’s for sure! The tile is gorgeous and the vanity is spacious, and look at all of that storage! And guess what!? You get a jetted tub, too, which will be perfect for resting your tootsies at the end of the day. 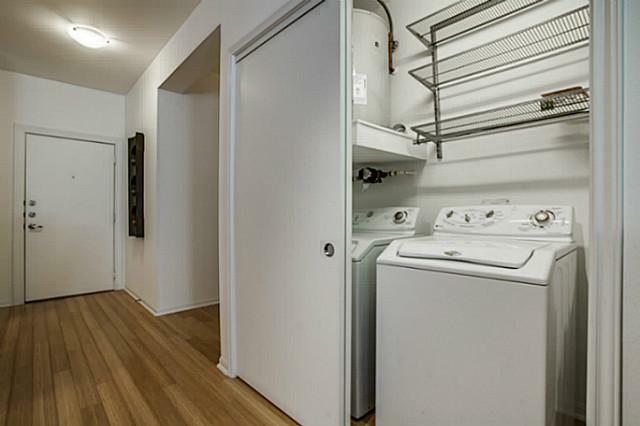 And if doing laundry at a shared facility is a turn-off, you’ll be happy to hear that you get a full-sized in-unit laundry area, too. 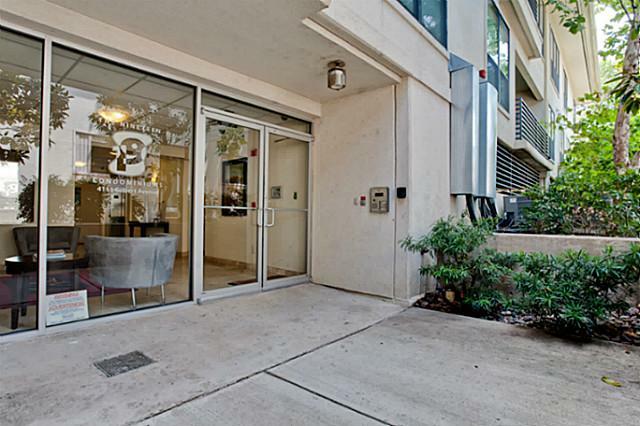 Of course, there’s a monthly HOA fee, which is $284. That seems pretty reasonable to me, considering the age of the building (10 years) and the price. So, are you ready to move to the city?